The trail starts at the valley station of the Paolina chair-lift. Head on in easterly direction near the road which takes to the Costalunga pass (Passo Costalunga). On the pass, just before the Savoy Hotel, turn left and follow path no. 548. 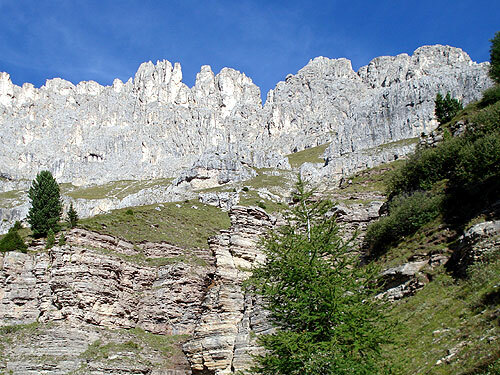 The trail is sometimes rather steep and leads to the Pederiva hut (Baita Pederiva). At the hut head on in westerly direction along path no. 549 towards the Christomannos Monument and then continue on path no. 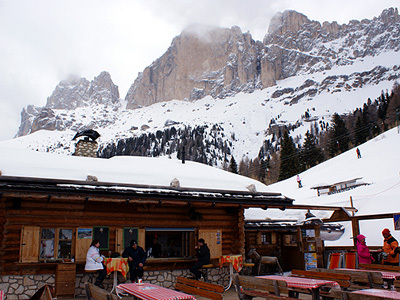 539 which descends to the Paolina hut. For the way back take path no. 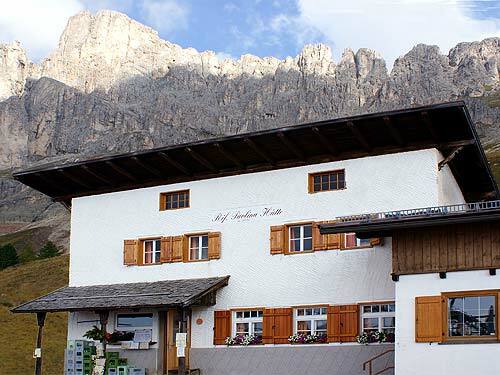 552 to the Masarè hut (Baita Masarè/Masarèhütte). 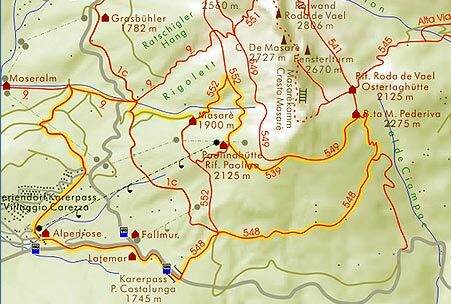 The route continues on the forest road in westerly direction until reaching path no.1c which takes to the Niger pass (Passo Nigra/Nigerpass) in northerly direction. After 500m turn left and head on along path no. 9 in westerly direction. 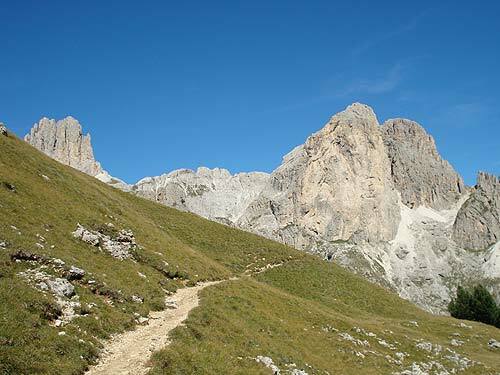 The final bit follows the forest trail towards the village of Karersee/Carezza and from there continue to the starting point. 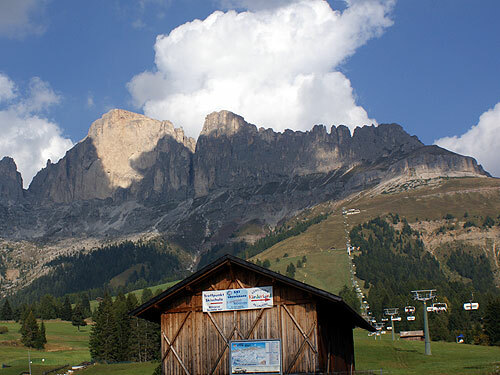 The chair-lift starting at the Paolina hut offers an alternative to the descend by foot for tired hikers.